Duke it out with the gladiators of the future! 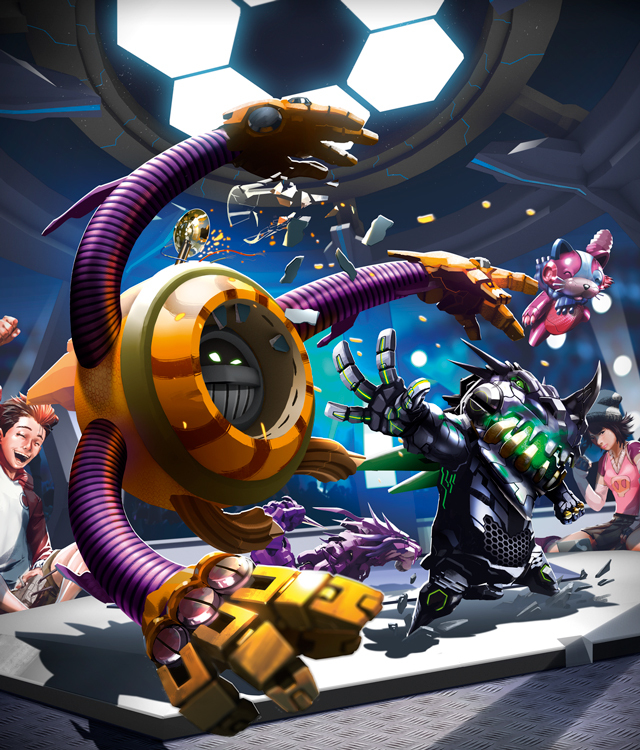 Step in to the arena of the future and do battle with high tech robots. In Gekido, your robot warrior will attempt to destroy the competition. Over a series of rounds, you must take advantage of tech upgrades, beneficial spaces in the Arena, and your bot’s special abilities. Plan devastating attacks, but be careful! Misfire, and you might end up damaging yourself.